Teaching through technology has become the newest and most innovative way for the academic community to reach the youth. Kids are fascinated with the complexity, simplicity, and the overall function of technology…so why not use this to our advantage? The old-fashioned style of teaching where the teacher just lectures for hours and hours without any visuals, powerpoints, demonstrations, guest speakers, or use of technology, has come to an end. More and more teachers are using overhead projectors, document readers, smart boards, and tablets in order to enhance their lessons. The term technology in the classroom is becoming more popular everyday and has been discussed and featured in the media, ie. US News, Huffington Post, NEA Today. 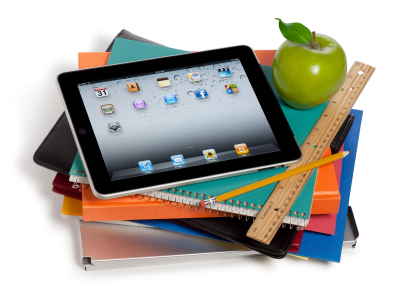 Using technology as a support for learning has brought education into the 21st century. It is every teachers and parents dream that their child is the next Bill Gates or JK Rowling…so what are we waiting for? Let’s jump on this technology train while we still have a chance. Check out the list below of popular apps that teachers are currently using. 1. Educatext is an educational app created to bridge the communication gap that exists between schools, parents, and students. It is a motivational, informative, and educational tool to help your child succeed by staying on top of the latest information. Start off by using the teach alters to remind your child to study for their upcoming test. Use our app to motivate and challenge your child to achieve a greater knowledge and understanding of any subject matter. 2. Book Creator is only available for iPads, allowing kids to easily create their own iBook by importing images, multimedia, text, and audio. Its simplicity makes it good for kids of all ages. Even though it has been around for quite some time, some educators still call it their number-one tool. 3. Edmodo was founded in Chicago, Illinois, when two school district employees set out to bridge the gap between how students live their lives and how they learn in school, Edmodo was created to bring education into a 21st century environment. 4. Visual Routine is a simple, easy to program visual schedule that helps your autistic or special needs child keep a routine. Routines can be tailored to their needs with audio feedback, and customizable pictures, audio, and text. Instead of carrying around pecs or a laminated schedule, this app will let you have routines preset and then run them to show the child in an easy way what they have to do. 5. Kidblog provides teachers with the tools to help students publish writing safely online. Students exercise digital citizenship within a secure classroom blogging space. Teachers can monitor all activity within their blogging community. Interested in more apps? Check out the following article. This post can also be found on the Children’s Writer’s Guild website.